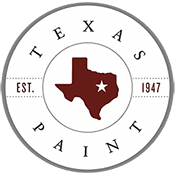 Texas Paint provides quality paint, paint supplies, and equipment for residential jobs, commercial jobs and Interior Designers. However, we can assist you with much more than just paint. We are also a decorating center that carries a large selection of window treatments and wall coverings. From simple updating of interior windows to a complete makeover, we have the knowledge and staff to give your home a complete new look. Employment: Download the employment application below and bring a printed copy to your nearest Texas Paint and Wallpaper location or email a scanned copy to josephelong1978@gmail.com.